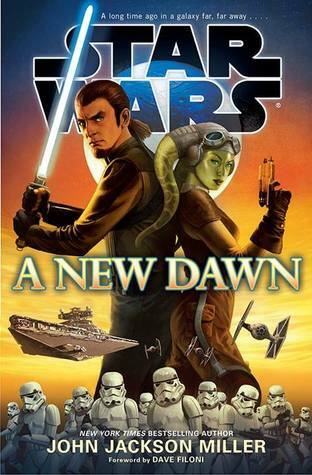 A New Dawn is aptly named, as it is the first new Star Wars novel after the rest of the Extended Universe. A change that sort of broke me in half when it was announced, because I basically saw all the years and actual effort I put into learning all of this random lore….loving characters from several different eras of history….just vanish with a swipe of a hand. I’ll admit I was pissed, bitter even. There was not really a lot of time between when I found out and when I decided to force myself into the new EU where I didn’t say something along the lines of ‘f— Disney’ every time I thought about it. But like with songs on the radio, you might hate them to begin with but if you hear it enough times your brain suddenly latches onto it and you even find yourself enjoying it. Thus began operation ‘Re-education’. I borrowed the library audiobook and bought the paperback, and forced myself to start reading. We have several key players in A New Dawn: Kanan Jarrus, Hera Syndulla, Zaluna, Skelly, Captain Sloane, and Count Vidian; and we meet them all fairly quickly. This doesn’t have specifically marked sections of character so there is a bit of jumping around within a chapter, but I didn’t find the transitions jarring at all in either the text or the audio. Kanan is most definitely not a favorite of mine, but I do like him as a character. Having known what his character is like in the episode of Rebels that I’ve watched I see that he has a lot of growing to do both in the maturity area and in the self discovery area. He’s a bit bitter, and some of that frustrations is misplaced. I do like his humor though and the fact that he is brash, quick to act, and angry….all things he really shouldn’t be. Hera is pure badass in a Twi’lek body. She’s an excellent pilot who isn’t afraid to do what is needed to help her cause, and she is very much loyal to that cause…no pretty face or temptation is pretty or strong enough to make her forget that. She’s iron willed and intelligent…and I can honestly say that if I start watching Rebels it will be for her. Count Vidian is a formidable adversary and very much the definition of what the Empire stands for. He is the embodiment of how the Empire runs. It’s all about out put and efficiency and that is exactly what Count Vidian is good at, and why he’s sent to a mining planet to begin with. I will say that without the audio he might come off as a bland villain, although smart, and I really think the audio does him a lot of favors and lends him a really stand out voice. The plot is quick, wonderfully detailed and holds true to the Star Wars novel ‘feel’ that I’m already use to. The audiobook version is pure amazing-ness. I’ve never listened to a Star Wars audio before and now I’m convinced that it’s the only way to ‘read’ the books…and all other audiobooks should be ashamed. The reader is excellent and lends his vocal talents to a ton of people. There is background noises like ships flying, blaster bolts, actual side conversations and just general ambient noise. It’s like listening to an actual play and a fully immersive experience that truly can’t be beat. So do I recommend the new start to the new Star Wars? Yes! It’s a fun read that you’ll have no trouble getting through. For the older fans it will ease you into it gently and you’ll feel at home with it, for the new fans you are getting a great starting point with just enough to whet your appetite and make you want more. 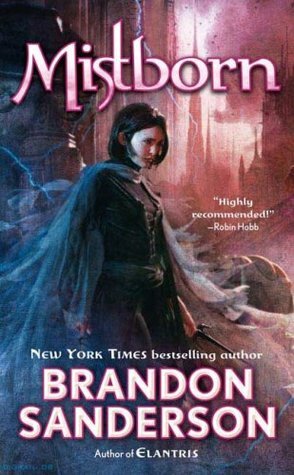 If you enjoy Star Wars and audiobooks, I implore you to go listen to the sample…it’s the most fun I’ve had listening to a book in a very long time. This entry was posted in Book Reviews (2015) and tagged 4 stars, audiobook, review, sci-fi. Bookmark the permalink.